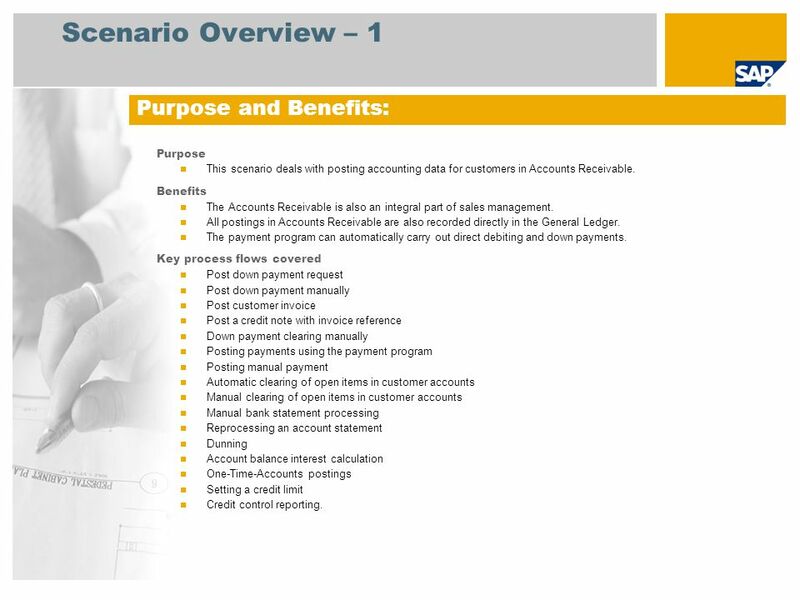 This scenario deals with posting accounting data for customers in Accounts Receivable. 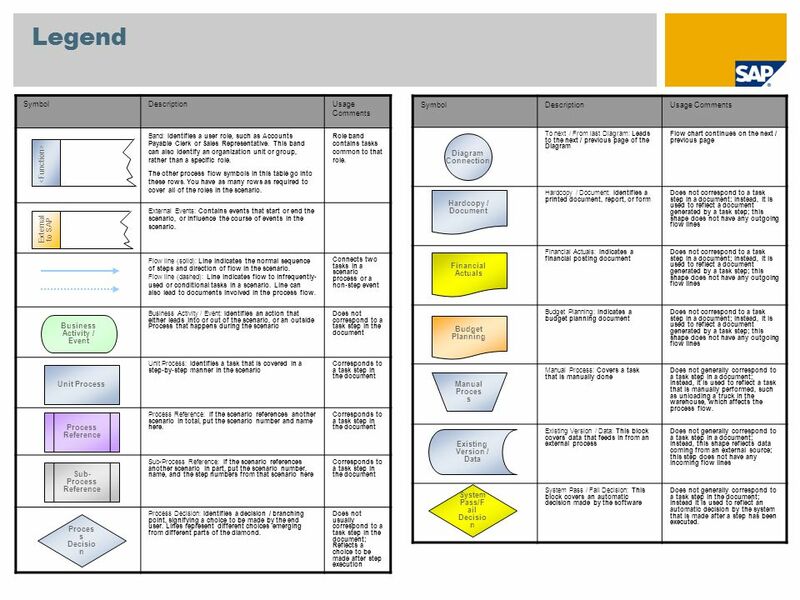 Benefits The Accounts Receivable is also an integral part of sales management. 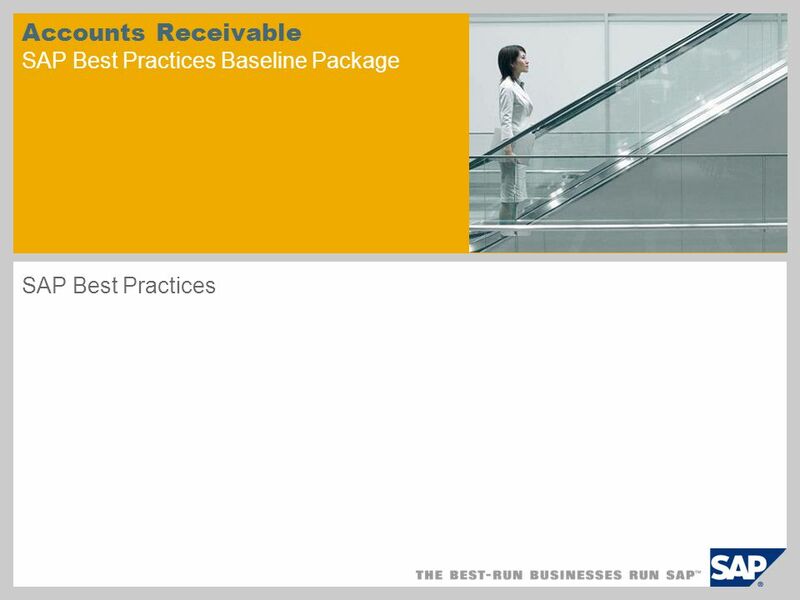 All postings in Accounts Receivable are also recorded directly in the General Ledger. The payment program can automatically carry out direct debiting and down payments. Key process flows covered Post down payment request Post down payment manually Post customer invoice Post a credit note with invoice reference Down payment clearing manually Posting payments using the payment program Posting manual payment Automatic clearing of open items in customer accounts Manual clearing of open items in customer accounts Manual bank statement processing Reprocessing an account statement Dunning Account balance interest calculation One-Time-Accounts postings Setting a credit limit Credit control reporting. 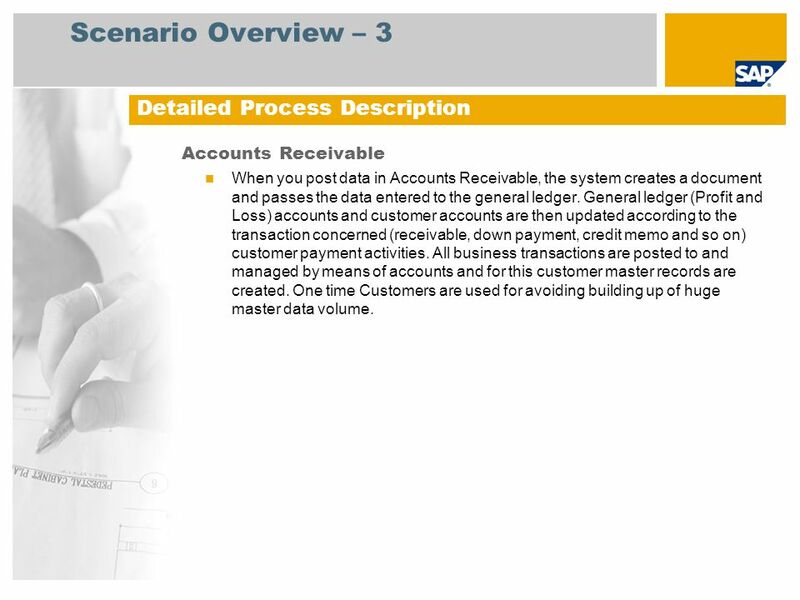 When you post data in Accounts Receivable, the system creates a document and passes the data entered to the general ledger. 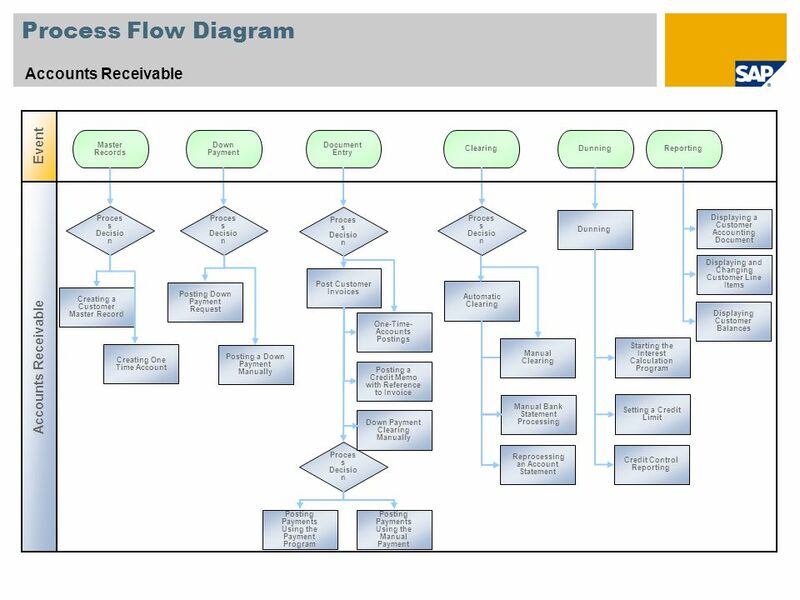 General ledger (Profit and Loss) accounts and customer accounts are then updated according to the transaction concerned (receivable, down payment, credit memo and so on) customer payment activities. 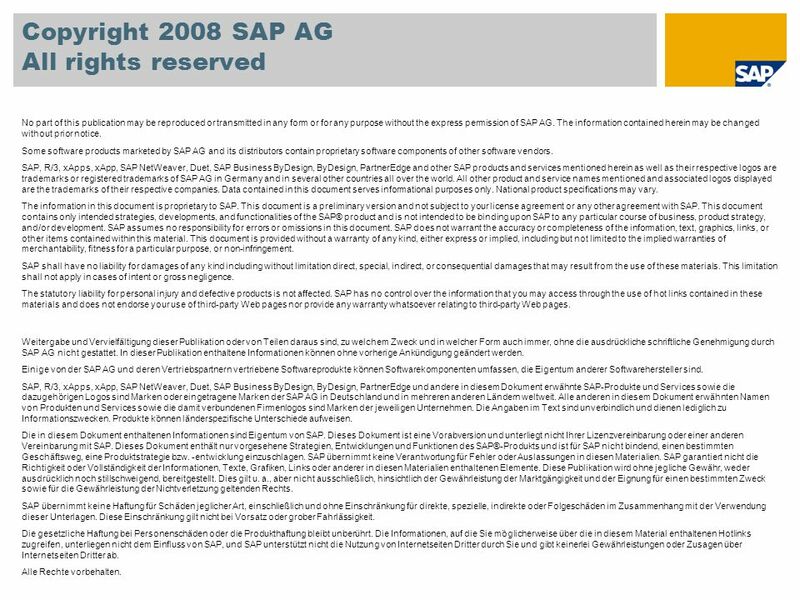 All business transactions are posted to and managed by means of accounts and for this customer master records are created. One time Customers are used for avoiding building up of huge master data volume. 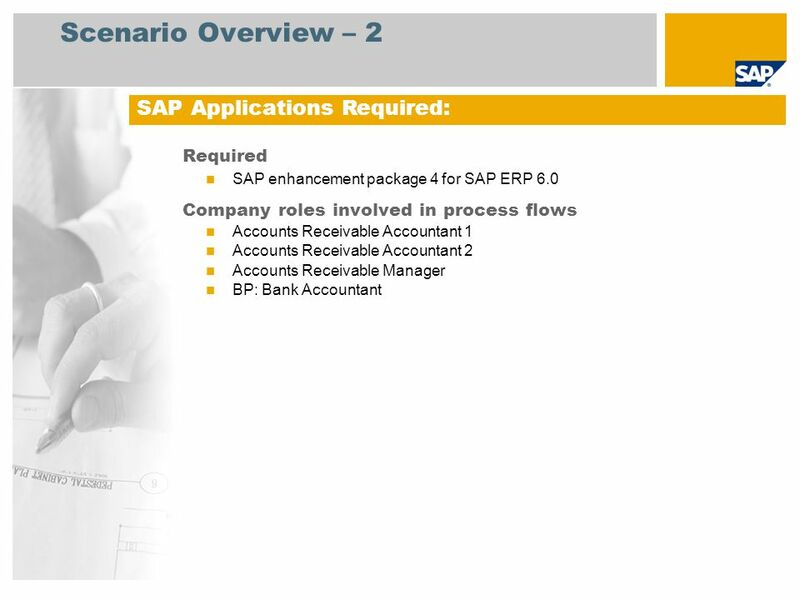 Herunterladen ppt "Accounts Receivable SAP Best Practices Baseline Package"